29/11: Obesity in the United States. The following animated GIF shows the prevalnce of obesity from 1985. It is very shocking and scary to see the rise of obesity over the years. 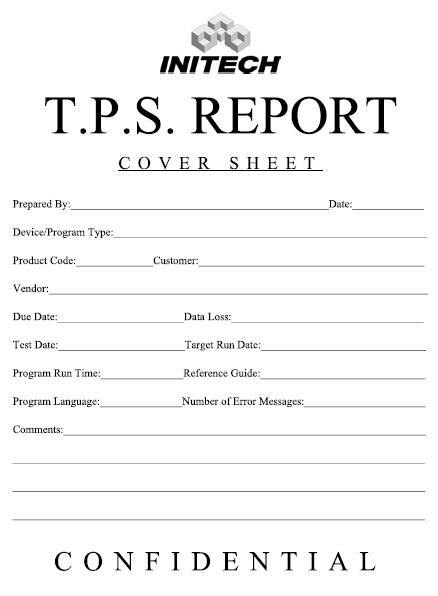 26/11: T.P.S REPORT from Office Space. 15/11: Very cool trick on the net. Goto any favourite website of yours. Once the main page is loaded, copy and paste the following in the Address bar and hit enter. 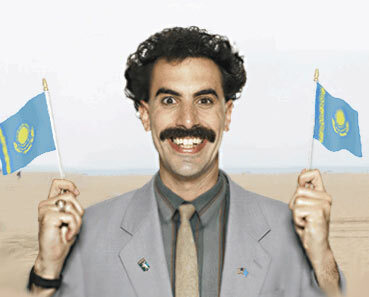 Q: Which country to do you prefer -- Kazakhstan or the USA? A: "I very much preferring Kazakhstan - it nicest place in the world! Please, you must look on my guidings book and then come visit. Bring your whole family and stay at Astana Funworld Resort - it have beautiful beaches, almost totally free of landmines and the sea is guarantee to have no jellyfish, shark, or any other marine life." Q: Which people are smarter? A: "Kazakh peoples is definite has more powerful brains. Government scientist, Dr. Yamak have prove that our glorious leader, Premier Nazarbamshev have IQ of 412 and a brain that extend into most of his chest - it no surprise that he have never fail in complete any jigsaw puzzle. Since 93 percent of Kazakh people is direct relate to him within 3 generations, rest of population also shares this great intellects." Q: What advice do you have for people traveling around the United States? A: "My book contains many useful informations for Kazakh peoples traveling to US and A - for example, best places to photograph ladies without their knowledge, location of Grand Canyons if you need place to dispose of a wife and location of Kazakh Embassy and where to go if you want to shoot a Redindians." Q: When can people expect to see you in Kazakhstan again? A: "I already in Kazakhstan, living very happilys with my new wife. This morning, I was awoke by my clock-radio (electronic LED), after which I remove my wife from her cage and she make me delicious breakfast of western cereal 'Frosties', which I have with delicious fresh milk from her chests. I then attach her to her plough and send her into the fields before returning to my bed until she come back at luchtimes to feed me again. Life is very nice for us." Q: Who do you favor for President in the United States? A: "I cannot believe that it possible a woman can become Premier of US and A - in Kazakhstan, we say that to give a woman power, is like to give a monkey a gun - very dangerous. We do not give monkeys guns any more in Kazakhstan ever since the Astana Zoo massacre of 2003 when Torkin the orang-utan shoot 17 schoolchildrens. I personal would like the basketball player, Barak Obamas to be Premier."